Westies in Need (WiN) is the largest Westie rescue organization in Canada and a registered Not for Profit. 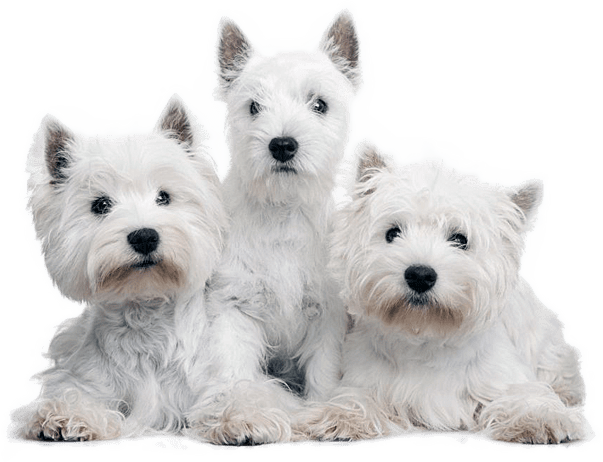 We are a volunteer rescue group, providing care for Westies that have been surrendered, taken from puppy mills or are in danger of losing their lives in local Animal Control facilities. The dogs that come into our rescue program come to us from various means. Some are strays; some have been surrendered, abandoned or left at shelters by owners who no longer can care for them due to circumstances such as moving, illness in family, new child, divorce, etc. We are a group operated by dedicated individuals working to provide a safe and loving environment for these wonderful animals. WiN operates solely by fund-raising. We are entirely staffed by volunteers and we do not get any grants or funding and ALL funds raised benefit Westies in need. 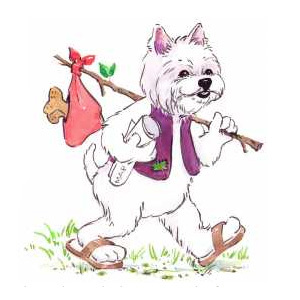 Our wonderful mascot that you see on this page was made for us to represent a Westie who was searching for a new home...a hobo if you will...which very appropriately is a short form for "Homeward Bound". Monies raised by WiN goes towards paying veterinary expenses incurred. Many dogs we bring into rescue are in need of medical intervention in addition to the regular series of shots and spay/neuter. Such vetting may include dental work, ear infections, blood tests, surgeries, etc. These costs may be in the several hundred dollars or possibly in the thousands. We do what it costs to get a sick Westie well again, so we can find them loving and forever homes. When Westies in Need was created, first and foremost we wanted our name to be synonymous with high ethical standards. We wanted the people that donated to our cause to feel absolutely certain that their funds were going to be used for the dogs that we care for. We also guarantee that no WiN dog who comes into our rescue is ever relegated to live in a kennel environment. All of our dogs live inside nice warm homes with their loving foster families until forever homes can be found. These families work incredibly hard to ensure that the dogs they foster get all of the love and attention they need to help recover from their previous lives and move on with their new life! These dedicated and loving people are the backbone of the WiN team. We appreciate them more than words could ever say. May all our rescued Westies know that they are now truly and forever home! Rescue Westies, get immediate medical attention to those in need, foster Westies in a safe, attentive environment, find them loving and forever homes and to also educate the general public to the need for spaying and neutering dogs and the perils of puppy mills. We advocate an end to the operation of puppy mills, pet store animal sales, and the neglect and abuse of these precious dogs.